We know that it's not just any relationship a boat owner has with his or her vessel, and that's why we're not just any boat repair company. We understand that your ship is your own personal island giving you the freedom and confidence to explore the vast waters and carve your own special path. And in the same respect we understand how it can feel when that part of you is tied to land because of a damage or maintenance issue. It's this empathy coupled with our collective passion and decades of experience that makes us the best option for any marine repair, maintenance, installation, or custom boat fabrication needs. We pride ourselves on fine craftsmanship, and place value and thoroughness above rushing through any job too quickly. Not only do we push the standard of quality for our self respect, we do it because we want to maintain our position as one of the most trusted boat restoration companies in south Florida, we wish to impress on every level and form long lasting relationships built on trust. At our premier boat yard we service and take on gladly any job from small tenders to much larger yachts. Feel free to call us for any work you may need done including fiberglass restoration, canvas repair, gelcoat repair, boat painting, all types of boat engine repair from outboards to jet boats, and so much more, and we will be very happy to work with you on a no obligation service quote. 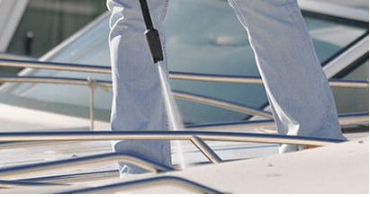 In addition to keeping up the structural integrity and maintenance of all the boats electrical, pluming, rigging, and other systems, we understand how laborious the upkeep of general cleanliness can be as well, for this reason we also offer a cleaning service that can be weekly, monthly, or completely custom depending on your needs and restrictions. 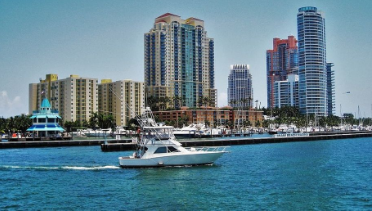 We want to do everything we can to ensure in our customers the confidence that their boat is being handled by the best boat mechanics, marine electricians, fiberglass restoration experts in all of Miami, Fort Lauderdale, and surrounding area. 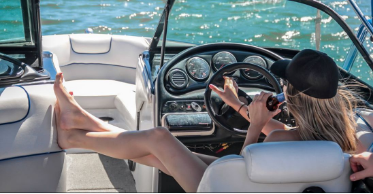 Just give us a call and we can begin work on getting your boat back out on the water and keeping it in the greatest shape of its life, taking away all concerns of malfunction and strain leaving only space to focus on enjoying the environment around you and the people you are with. Please feel free to explore our site and the many services we have to offer, as well as tips and tricks to keep your boat in prime condition. Let's work together to get your personal mobile island up, running, and looking beautiful! Scheduled Monthly or Weekly Boat Cleaning: Our standard options for reoccurring boat and yacht cleaning are once weekly or monthly, however as mentioned we can be very flexible to work around any specific needs or requirements you may have. 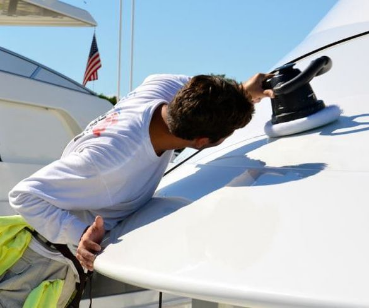 Our highly trained team of professionals in our mobile boat service division will come out and help out you dockside, not only for these cleanings but also for any other singular needs that may arise. Along side general washing and detailing, we include waxing and polishing, stain removal, upholstery mildew removal, hull scrubs, and many other things including boat interior cleaning. Fiberglass Repair: We understand that this type of project can be one of the most daunting and concerning tasks needed in restoring a vessel. And while we don't doubt anyones ability to find a good patch kit or fiberglass repair video and tackle the job, we also know the risks of missing even the littlest of details. And we want to give you the assurance of a job well done by our skilled professionals, one that will ensure you won't have to double back to the same issues. For any questions regarding your specific project or to get quoted on the repair cost please call us today or fill out the above form. Engine Repair: When considering the most important parts of the boat to keep in check, your engine is definitely up there, aside from floating it is just about the most crucial thing on your ship, sailboats partially-excluded, but you would still have to be a pretty good sailor come docking time. We don't take this lightly and thats why we have a great team of in house and mobile marine mechanics specially schooled in repairing, rebuilding, and installing a variety of inboards, outboards, sterndrive, and jet boats, covering brands from Mercury to Yamaha and everything in between. Don't let a lack of power keep you from clipping along the water, give us a call and we will figure out any issue, sometimes a minor adjustment is all you need. 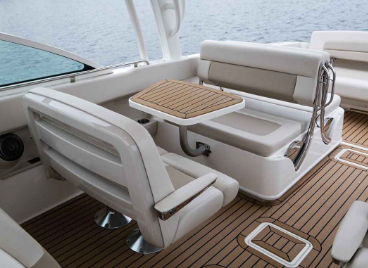 Upholstery, Canvas and Carpeting: Keeping your boat maintained from a comfort aspect is also very important. A perfect functioning vessel is still only as good as it is enjoyable to actually ride in and lounge on. Services in this area included reupholstering, cleaning, or replacing cushions, solving tears and rips in canvas through means of simple snap, zipper, high quality tape repairs or more extensive sewn projects depending on your needs and budget. Interior and exterior boat carpeting can also be cleaned, patched, or completely replaced. Let us help you keep you boat or yacht a living space to be proud of. Haul Outs and Dry Dock Servicing: It is important to remember that almost half if not more of your boat lives below its waterline, and because of this it is sometimes a very necessary step to pull the vessel out in order to inspect it, as sitting in the water for extended amounts of time, storms, or even driving at fast speeds can have a slow deteriorating effect on your boat, and subsequently the lower portion is what takes on the most damage in regular usage. utilizing dry docking also allows for other important areas of maintenance such as repainting the hull, touching up the gelcoat, and taking care of any fiberglass stress points that have begun to appear. Another great reason to get your boat out of the water and inspected is to keep an eye on blistering that can occur regularly, and often lead to greater issues if unaddressed. Issues like this are typically very simple and cheap to fix if they are taken care of in a timely manner. While this can all seem like a large undertaking, we pride ourselves on having the most straightforward, effective, and cheapest boat dry docking service near by. As demand for this need can be particularly high in certain months, there is a chance our facilities my become full in which case you could contact our friends and well trained professionals at Norseman Shipbuilding Corp. 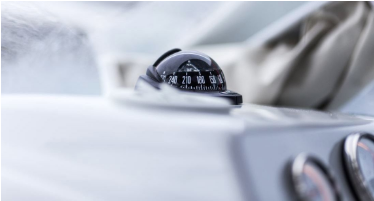 Inspection and Insurance Claims: One of the most imperative things to do while considering buying a second hand boat or perhaps selling your own, is to run through a used boat inspection checklist. With all the integrated subsystems of today's boats and sometimes hidden areas of corrosion, it is so important to have a good understanding of the condition of the entire vessel before moving forward on any transaction. Fortunately we offer great service in this area and would be glad to take a thorough look at it with many of the trained eyes on our staff who have seen just about everything you can imagine at this point. In addition to precautionary inspections we are also well versed in handling or advising on any boat insurance claim problems or denials you may be dealing with. We understand the stress this can cause and want to be there to help give you the best information and knowledge in order to deal with any situation and save in the process. Sailboat Restoration: Just as sailing comes with its own unique pleasures, it also definitely has its own set of special maintenance and repair needs. The professionals at our yard are happy to be trained in depth on both the power boating and sailing world, so no need to worry if going with the wind is more your style. 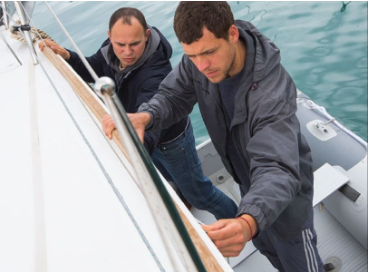 We can take on any job like rig and mast repair with all its intricacies of chainplates, turnbuckles, and terminal fittings, or larger issues such as keel and centerboard damage, or sail repair and stitching. As with any vessel, your ship is a finely tuned design and all forms of corrosion, cracking, or misshape can cause the entire system to eventual fail. We are here to make sure that doesn't happen and the details are taken care of, so you can focus on the bigger horizon. Promotions, Discounts, and More: You will be very hard pressed to find anyone who can come close to our passion for quality and affordability, but in addition to being one of the cheapest boat improvement shops around we have many ongoing promotions and coupons that we offer to our customers. Because we understand what a great feeling it is to get discounts on already amazing prices. 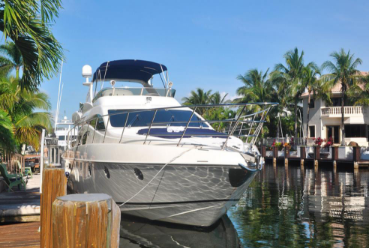 So go ahead and give Miami Boat Repair a call today and ask about what we have to offer, and we will gladly discuss all the possibilities to get you the most cost effective boat repair Miami has to offer!